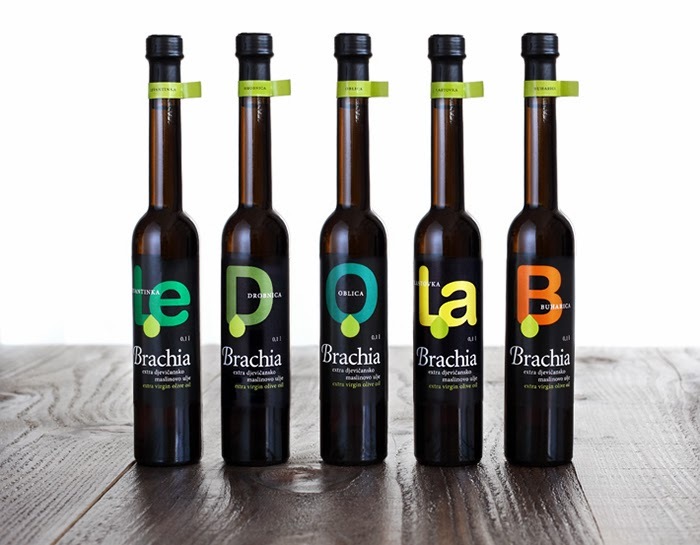 Line of five Brachia extra virgin varietal olive oils: Levantinka, Drobnica, Oblica, Lastovka, Buharica (Croatian varieties of olive oil), one of Brachia brand olive oil lines. 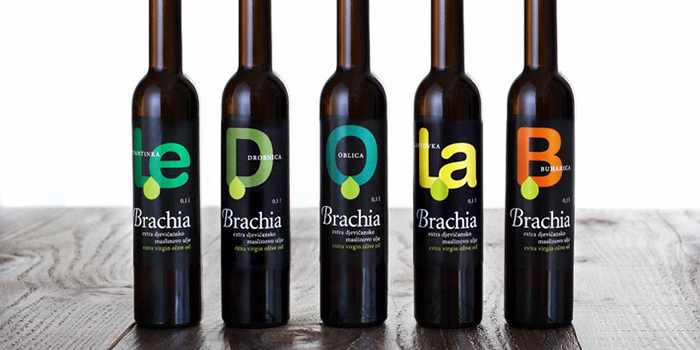 In this product line extensions are coded with initial letters of each variety of olive tree and by color code. 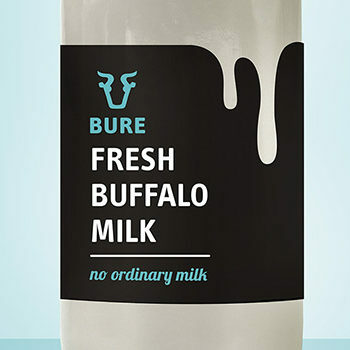 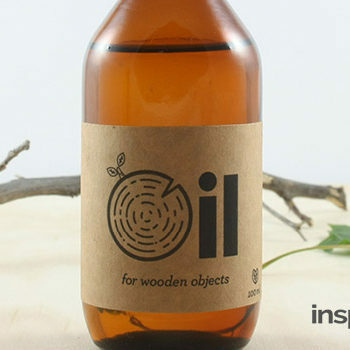 Typographic representation of the variety is complemented with graphic element of oil droplets. 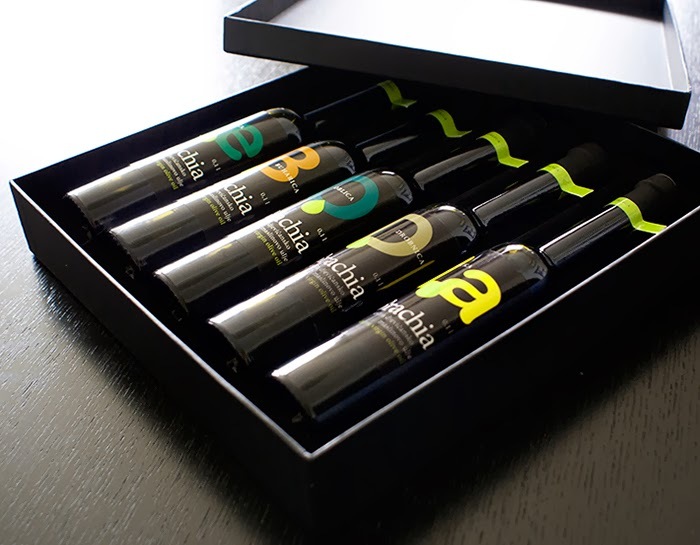 That literally carries the message: a quality clean oil from specific variety, considering that the variety is one of the most important factors on the quality and taste of olive oil. 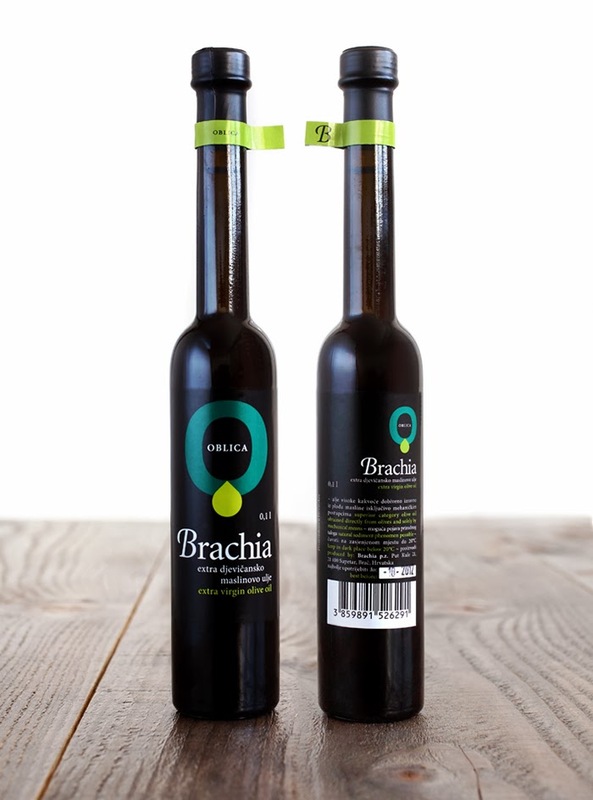 Dark glass bottles of 1 ml are dressed in shiny black cap, a high-gloss main label that wraps around almost the entire perimeter of the bottle body and a small flag-label that wraps around the cap at the junction with the bottle, emphasizing once again the name of the variety of olive oil and the monogram of Brachia brand. 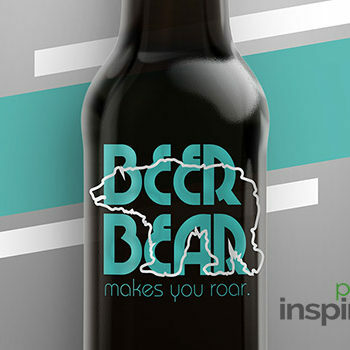 Agency: Izvorka Juric _ visual communications, Motus Vis Ltd , Croatia.